You may have heard through the grapevine that the one of Balmain’s most renowned pubs has re-opened their beloved doors. 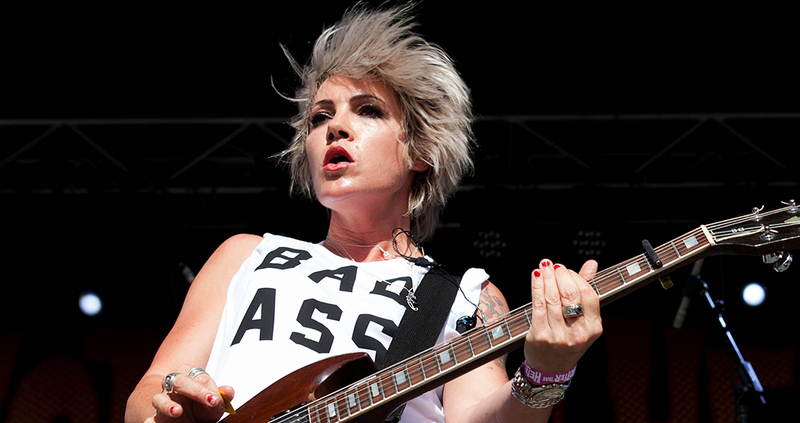 Sarah McLeod from The Superjesus admits she has the uncanny ability to attract insurance sellers to her doorstep. Clear your palate, because 20 of Australia’s best names in wine are coming to Sydney in July to serve up a wide range of award-winning wines. Read more about 60 wines from 20 makers - in one night! 60 wines from 20 makers - in one night! Revel in the darkness and celebrate the longest night of the year in Sydney. This iconic eastern suburbs venue offers nothing but the very best. This Surry Hills favourite has a range of great spaces whether for a function or just a night out with friends. Enjoy a drink on the popular balcony overlooking Crown Street or sit by the award winning cocktail bar. With mahogany walls, deep Chesterfield sofas and private booths, it’s like stepping off Boston Common into a classic collegiate bar. With twenty screens –two in 3D- you’re sure to find some great seats, the perfect beer and that sport you love. York 75’s private booths seat up to eight, with personal LED screens and full waitress service. The best of both worlds, The Royal George combines traditional brick paving and timber, with contemporary touches that include a split-level interior and a balcony overlooking the grand pool table area below. Discreetly lit, the George has an easy warmth and charm that makes it a great place to relax, chill and enjoy some great pub food. Tank Stream Bar is tucked away in a secluded spot down Tank Stream Way. Serving up great food and an inviting ambiance it’s the perfect place to enjoy a fine glass of wine and hand-selected cheeses. Modern, decidedly Asian and unlike anything you’ve ever experienced before, that’s Ms.G’s. A mainstay of Kingsford, The Regent is a friendly pub with a lively atmosphere. They say only great things stand the test of time. And that’s why the Green Park Hotel, established in 1883, is truly a great inner city watering hole. Private karaoke rooms with dress up boxes, food challenges, DJS and an extensive Japanese spirits and cocktails list..
A little heritage in the middle of a modern-day CBD goes a long way. A second home to the colourful and creative locals of Darlinghurst, this is a true institution. The Hill Eatery in Bondi source their produce ethically with a focus on the provenance of the food and wine. The Kiosk is open for takeaway Single Origin coffee, panini, cakes, pastries and lots, lots more. It's famous for the 'Suckling Pig' panino made on Sonoma sourdough. Situated in Sydney’s leafy Eastern Suburbs, Guillaume is an elegant local restaurant with a focus on seasonal, produce-driven food. Imagine you’re in Tokyo dining at an enclave of modern Japanese expression. Nestled in the Assembly of Deutsche bank place is Mordeo Pasta & Panini bar and of course Mordeo Bistro & Bar. Zeus, serving up humble Greek street food that’s good for the heart and the soul. Using time-honoured methods and family recipes to make real food, with integrity, taste and freshness. Nestled in Sydney's Ash Street laneway, this elegant bistro’s classic French fare is perfectly matched by an extensive wine list. Amazing coffee, delicious food and a cute little setting. The Penny Royal is the perfect place to relax and enjoy your coffee. Easily one of the tastiest coffee brews going around, Will & Co. You can enjoy a cup of the good stuff up in their own cute little courtyard cafe in Bondi. Read more about Will & Co.
100% handmade Neapolitan way pizza. If it's traditional and super tasty that your after (who isn't?) then this is your place for pizza! Sister venue to The Grounds, The Potting Shed is modern Australian food at it's finest. Casual and relaxed atmosphere. The Boathouse Balmoral offers a beachside setting second to none, fresh modern Australian cuisine and rustic furnishings + interiors. One of the most picture perfect venues in Sydney. Moby Dicks is a sister venue to The Boat Hosue in Palm Beach and Balmoral. Located halfway between The Beresford and The Flinders hotels, in a little triangle courtyard. A cute little café with a whole lot of character. West Juliett is a cafe that makes simple rustic food and coffee to stay or go. It sits inside a little corner store. Lovely. The Botanist encompasses a worldly mix of tastes and concepts. Any time is a great time to stop by the Chelsea Hotel. The Boathouse Palm Beach offers a beachside setting second to none, fresh modern Australian cuisine and rustic furnishings + interiors. One of the most picture perfect venues in Sydney. Tucked away from busy city streets on ivy’s level one is Palings – a casual spot to eat that won’t break the bank, yet is big on fresh flavours delivered with a smile. Almustafa's Restaurant was established by Ian and Salwa in 1996, to create a relaxed, casual and friendly dining experience where everyone can feel at home; good quality food with no attitude. Ananas is Sydney’s complete bar and dining destination, bringing a taste of the contemporary French Mediterranean / Cote D’Azur to Sydney’s Rocks district.